Beaverton Farmers Market: First and third Saturdays, Feb.-April, 10 am-1:30 pm. Hollywood Farmers Market: First and third Saturdays, Dec.-April, 9 am-1 pm. On NE Hancock between 44th & 45th Ave.
Hillsdale Farmers' Market: First and third Sundays, Dec.-April, 10 am-2 pm. 1509 SW Sunset Blvd. in Hillsdale. Lloyd Farmers' Market: Every Tuesday, 10 am-2 pm. In the Oregon Square Courtyard on NE Holladay Street between NE 7th Ave and NE 9th Ave.
People's Farmers' Market: Every Wednesday, 2-7 pm. 3029 SE 21st Ave.
Winter Market at Shemanski: Every Saturday from Jan. 7-Feb. 25, 10 am-2 pm. In the South Park Blocks at Shemanski Park between SW Salmon & SW Main. 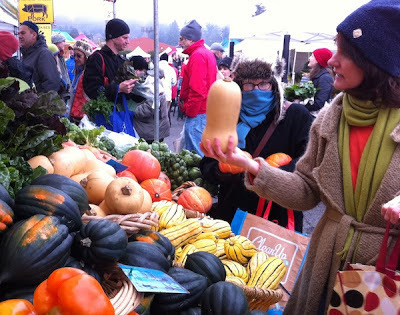 Oregon City Farmers Market: First and third Saturdays, Dec.-April, 10 am-2 pm. On 8th St. at Main in downtown Oregon City. 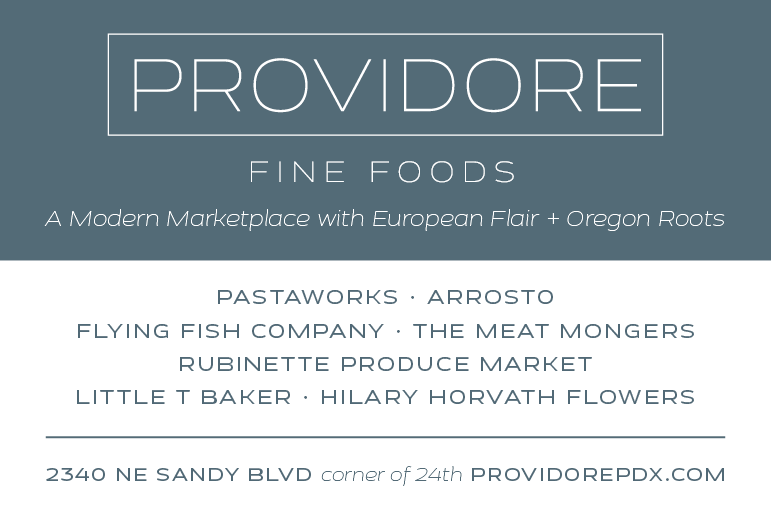 Montavilla Winter Stock-up Markets: Second Sundays of the month, Dec.-Feb., 11 am-1 pm. On the 7600 block of SE Stark St.
Hey. Thanks for including the Oregon City Farmers Market. We also have an 'extra' Market in December on Saturday the 22nd. For all those last minute things..............Please also note that your link to OCFM points to the Beaverton Market and much as we love Ginger we'd appreciate that being fixed? Happy Holidays, love your posts. Gosh, Jackie, thanks for pointing out that the link was wrong. It's fixed now, so we'll all be able to keep up on the latest!